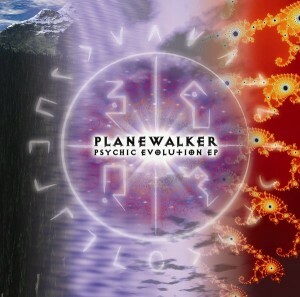 Psychic Evolution is a brand new release by Planewalker, a talented American producer and multi-instrumentalist affiliated with Astral Force and Waveguild. The release opens with a sleek and slinky slice of psybreaks before getting down to business. Snarling psychedelic melodies, intricate rhythms, and hypnotizing atmospheres dominate the remainder of this journey into classical psychedelic trance. Prepare yourself for a brain-tickling odyssey as you experience Planewalker’s original brand of waveform wizardry. MP3 Download / FLAC Download / WAV Download / Buy It On CD!